US-based eSports team 100 Thieves had to pull out of the Counter-Strike: Global Offensive eLeague Major Boston in last week’s New Challengers stage, because apparently their Brazilian players come from what the US president would call a ‘sh*thole country’, and have been refused US visas. So their unapologetic South Americanness won’t be allowed to soil the pristine snows of Massachusetts. Still, there are gaming fans and online punters who might be calling karma on the whole sorry saga. To put it bluntly, the team formed by retired US Call of Duty legend Matthew ‘Nadeshot’ Haag in December 2017 had blatantly bought its way into the competition. 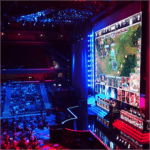 The three players who hit visa problems, Henrique ‘Hen1’ Teles, Lucas ‘Lucas1’ Teles and Vito ‘KNG’ Giuseppe, were snapped up recently from team Immortals, which they had quit after a lengthy dispute. 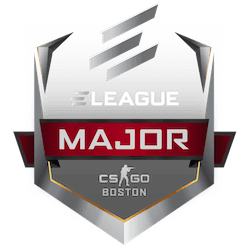 However, Valve rules allowed the three to take the Immortals’ qualification spot with them, which is how 100 Thieves gained entry to the eLeague Major Boston in the first place. 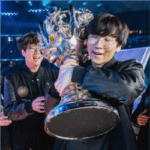 Their were 16 teams competing in the New Challengers stage: eight regional minors champions against the lower eight from the last major, with Team Liquid replacing 100 Thieves at the last minute. Team Liquid would eventually prove triumphant, beating Kazakhstan team AVANGAR 19-15 on the CSGO Mirage map in the decider. Next up for the New Challengers victors, as well as the next five top New Challengers teams, is the New Legends stage, from January 19-22. 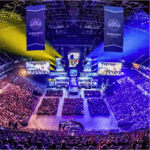 There are 16 teams left in the New Legends stage, including popular legends of the game like Natus Vincere (Na’Vi), SK Gaming, Virtus.pro, Gambit Esports and Astralis. 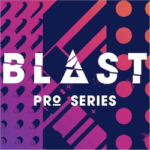 Apart from Team Liquid, the New Challengers survivors through to this stage are Cloud 9, FaZe Clan, G2 Esports, Vega Squadron and Space Soldiers. The eight top teams from the New Legends stage will go through to the final Champions stage. The championship will be decided from January 26-28 in Boston’s Agganis Arena.